Dakor Nor- Soaps for Men…8 oz. 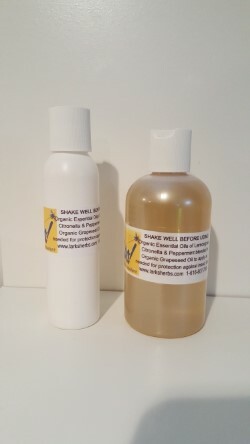 Organic Herbs, Organic Botanical Oils, & Organic Essential Using Only Organic Herbs, Organic Botanical Oils, & Organic Essential Oils we create Products so Pure & Natural that if your baby starting eating your lotion it would actually benefit them. Aromatherapy Grade Organic Herbs & Essential Oils Blended in the Botanical Oils are HIGHLY MEDICINAL and FOOD GRADE. Our Facial & Body Lotions will HEAL ALL CHRONIC SKIN CONDITIONS. Our Aromatherapy Grade Massage Oils will also heal chronic skin conditions like Acne, Rosacea, Eczema, Psoriasis, and we make bar soaps for these conditions as well. Massage Oils also relieve Pain, Swelling, Inflammatory Painful Injuries and Sprains to Joints and Ligaments. You will be as flexible and pain free as you were the injury. 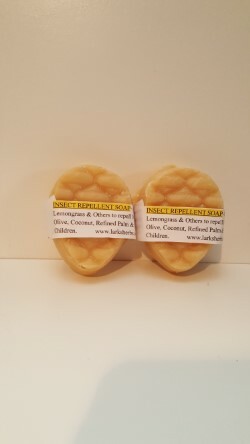 We custom blend our Organic Essential Oils to make our Insect Repellent that inhibits Ticks, Fleas and Mosquitos of all varieties, so you can enjoy the outdoors. Safe enough for babies skin and It also smells good. 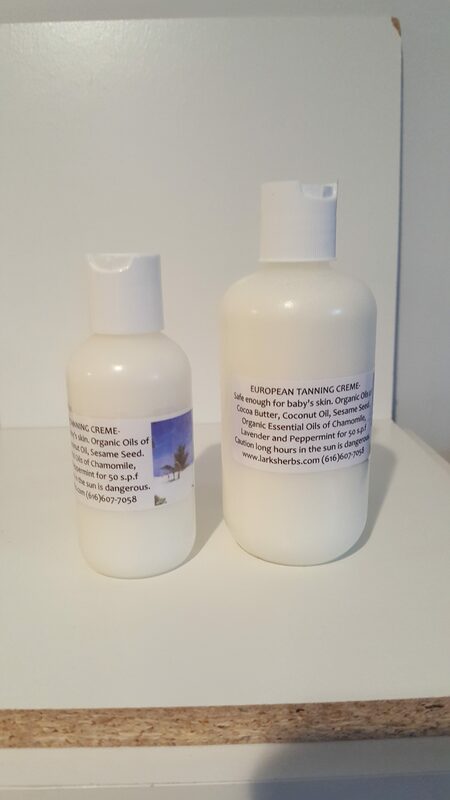 Our European Tanning Crème is waterproof and has 50% Organic Cocoa Butter, Organic Coconut Oil , Organic Rosehip Seed Oil & Organic Sesame Seed Oil to Prevent Sun burning even for very fair skin types. Use under make-up. Safe again for Babies. 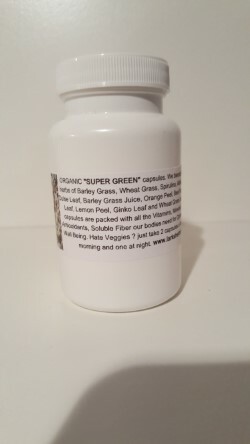 Our Herbal Teas and Capsules only contain Organic cut and Sifted Herbs and Organic Powdered Herbs absolutely NO FILLERS that are specific for the Conditions Listed on the Labels. Our Herbal Teas taste good and provide the maintenance Vitamins, Minerals and Antioxidants necessary for a healthy diet. Our Antibiotic Throat and Body Spray is our Number One Product at Lark’s Herbs & Essential Oils because it inhibits the growth of Bacteria, Viruses & Fungi inside and outside our bodies. 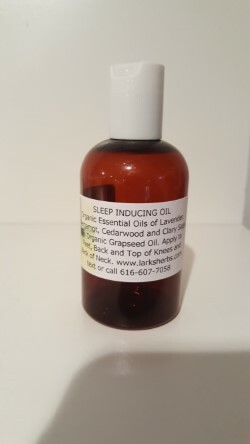 Used safely for babies it treats Bronchitis, Sore Throats (killing the streptococcus and other respiratory bacteria), Coughs, Sinus Infections, Ear Infections, Pneumonia, Copd, Asthma, Largygitis, Safely used by Vocal Professionals. Can also treat poison ivy, rashes like summer swimmer’s itch, inflammatory allergic rashes, and acne. Stops the itching and inflammation. 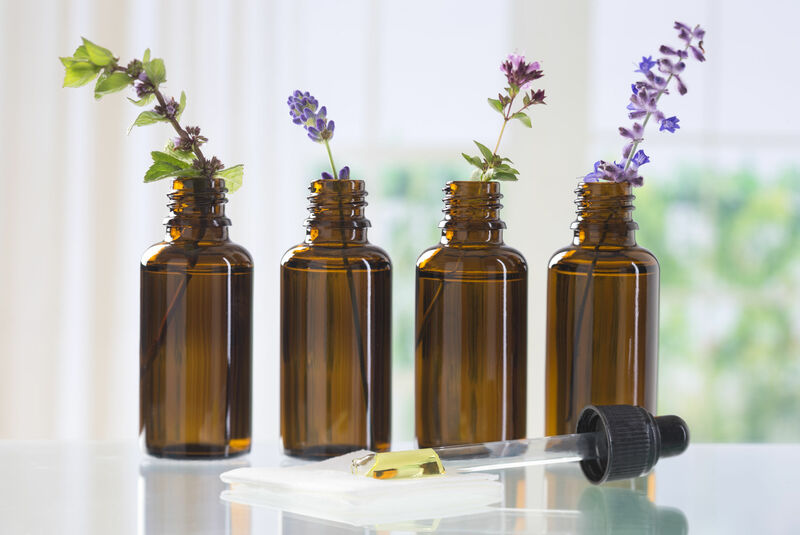 We are excited when we get calls wanting us to blend essential oils for a Perfume or Cologne or one of a kind blend for Men and Women. Our Essential Oil Blends for Acne, Eczema, Psoriasis and Rosacea, and Therapeutic Massage are blended so the client likes the scent. Please contact us by Text or Call at 616-607-7058. 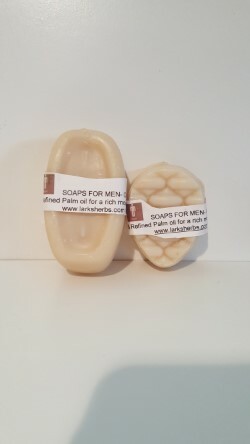 E-mail- larksherbs@gmail.com if you have any questions or need larger quantities of any product on our website.